Wrestling stars and fans will be out in droves for this highly anticipated event that will essentially bring forth the rite of passage to a man who is well respected and loved across the entertainment spectrum. 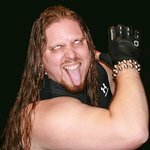 On Saturday August 22, world renowned wrestler William Brimstone Kucmierowski will be celebrating his 35th Birthday Bash with his celebrity friends and family by subjecting himself to humility… A Roast! In a carnival themed setting boasting fire eaters, sword swallowers and contortionists, the man of the hour will be ripped to shreds by some of the people who he calls his, “closest friends.” The Roast Master of the evening will be Brimstone’s long time friend Jose “Dawg” Castillo accompanied by a powerhouse celebrity roasting panel including: Brutus “The Barber” Beefcake(Celebrity Wrestling, WWE Legend), Ron “Bumblefoot” Thal (Guns N’ Roses), Claire Unabia (America’s Next Top Model: Cycle 10), Dan Nelson (Anthrax), Darra “Like Dat” Boyd (VH1’s Flavor of Love & Charmed School), Dave “12 Pack” Amerman (VH1’s I Love NY, I Love Money & Daisy of Love), Jamie “Fury” Kovac (American Gladiators), Jose Hernandez, Jr. (HBO’s Oz, Law & Order, Fringe, etc. ), Missy Hyatt (First Lady of Wrestling – WWE, WCW, ECW), &Nora Nolan (Comedian). Throughout the evening, specialty finger foods will be provided courtesy of Danny Gagnon(Top Chef) and served by a bevy of tattooed beauties (The Gypsy Queens) dressed to impress in fifties “pin-up” style attire. The dance floor won’t be empty with top notch celebrity DJ Bagel mixing the hottest sounds! Guests will have a sneak preview of the long awaited BrimWEAR clothing line courtesy of Good Tease!!! This will all take place at the newly renovated “Bar Social” night club located on Long Island in New York. All avenues of the entertainment industry will be represented during this evening of food, drink & fun! 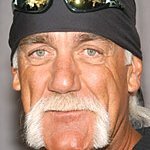 Guests at the event will include Hulk Hogan, Bret Michaels, and Missy Elliott. A large portion of the monies earned by sponsorships, donations and the sale of “The Brimstone Roast DVD” will be used as the catalyst for The Brimstone Fund. The fund will be utilized as a yearly college tuition scholarship for young men and women who are looking to pursue a career in the entertainment industry. The evening also includes a special carnival style VIP dessert for celebrity guests, friends, and family. Bar Social is located at: 1002 Hempstead Turnpike, Uniondale, N.Y. 11553 Phone: (516) 489-8080. For additional information, sponsorships, media inquiries or to RSVP your celebrity clients, please contact by email:TheBrimstoneRoast@gmail.com. Attire will be casual chic.